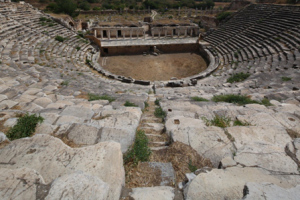 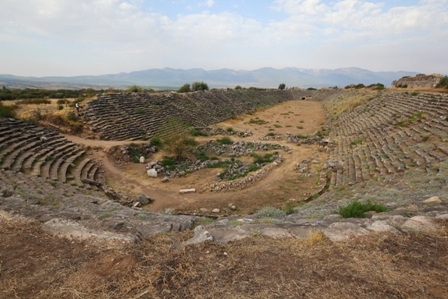 “Imagine coming upon a city of antiquity so rich in archeological treasure that choice sculptures roll off the sides of ditches, tumble from old walls, and lie jam-packed amid colonnaded ruins.” Those are the words of Turkish archeologist Professor Kenan Erim who directed the excavations at Aphrodisias under the auspices of the New YorkUniversity. 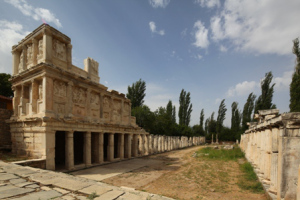 He is so closely associated with the site that he can suitably be accepted as the father of Aphrodisias and therefore fully deserved to be buried near the Tetrapylon. 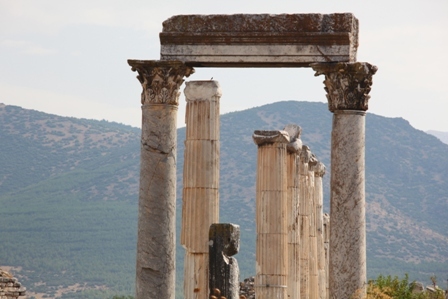 The name of the city has the same root as “aphrodisiac”. 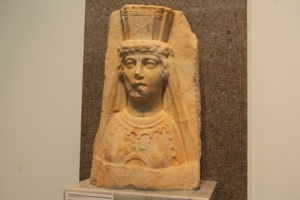 Both words derive from the Greek name for the goddess of love, Aphrodite. 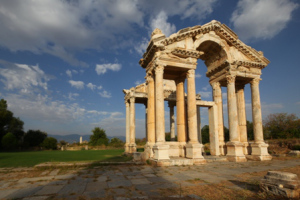 Aphrodisias was one of several ancient cities dedicated to the goddess of love. 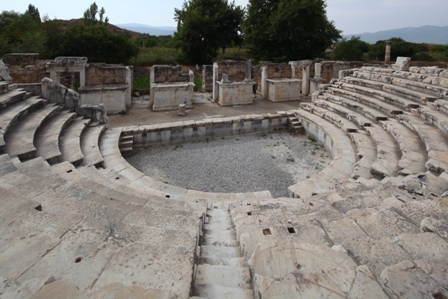 Within the borders of Caria, during the Roman period, Aphrodisias became an artistic center with a famous school of sculpture. 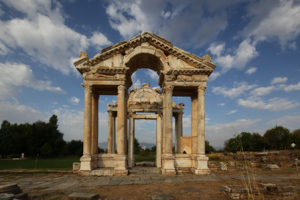 The site has been systematically excavated since 1961 by professor Kenan Erim and has yielded a wealth of art treasures to archaeologists.